Last week, the News app was updated to 3.0. This new version is a major rewrite, bringing major improvements to the user interface. In this blog we’ll highlight some of them. But it hasn’t just been features: this improvement for example fixes the distracting changes in placement of the buttons overlaying the feeds. News will work a lot better on mobile devices and there’s a new feed design. Settings have been improved as well and the interface has been cleaned up with many less-used buttons moved into a sub menu. Last but not least, new keyboard shortcuts were introduced and video should now work. 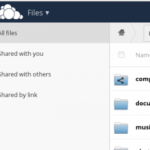 There is a large number of third party apps which sync with the ownCloud News app. You can find them on our third party apps wiki. 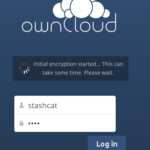 If you found another app that works with ownCloud News (or any other ownCloud app!) feel free to add them to the wiki! You can get the News app from the app store. 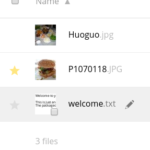 You’ll have to download it and install by hand for now, a future version should be installable automatically from the Apps overview in your ownCloud. If you still have installed the Turn Off Code Checker App from a previous version, it is recommended to disable that – a race condition has the potential to delete your config.php file. Of course, pull requests with fixes and features are very much welcome as well! Yeah, that update just broke my whole owncloud. Nice. Same here, this upgrade crashed our complete clouds, not recommendet to use at all.!! 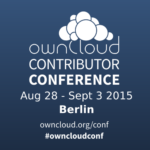 ok, force uninstalled news and set maintenance to false to get the rest of my owncloud back. https://github.com/owncloud/core/issues/11350 Looks like we have to wait for OwnCloud 7.0.3 for an update that *might* fix this. This is great news – but it would be great if whoever wrote this could react to the reports of the update borking ownCloud installs! I was about to update and decided against it after reading the comments. To me, it’s fine to wait for oC 7.0.3 but I d like to know when 7.0.3 might be out, if there is a chance that the fix is backported etc. Instead of just advertising the new News App, this oC newsfeed should take the responsibility of being transparent about such issues and provide workable advice. Installing this now seems to lead to a bad user experience – thats surely not what should be promoted here? Again: I have no problem waiting for 7.0.3., I appreciate the work that went into the news App (it is one major reason I use ownCloud) – but it would be great if there could be responsible, n00b friendly advice here about pros and cons of installing it now and an informed estimate about when it might be save to install. The app is safe to install, the linked issue does not break your install and is solely required for extracting the archive. That can be fixed by simply extracting the archive into the apps folder. It broke my cloud as well – although I managed to install it, I got a lot of errors (originating from news app dir) – even worse, admin access was not working either (again errors orginate from news app dir). For the moment I can live without the news app. In some news feed I have embedded video but I can’t play them. It is a bug or it require anything special for working? Library libxml with a version higher than 2.7.8 is required – available version 2.7.6.0.
you’ll have to ask the news developer – I can’t promise he can make adjustments for this, though.